Exercise balls are common pieces of equipment that you can find in yoga studios, pilates and fitness gyms. You can even see some in office settings in the role of a seating chair. 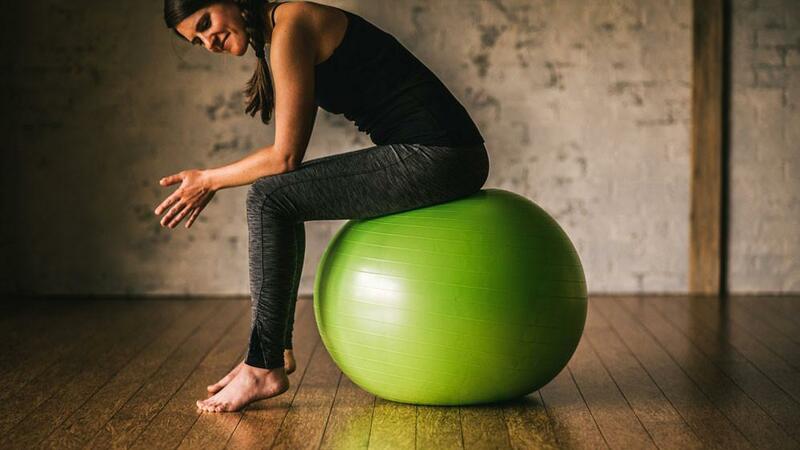 Considered as one of the best pieces of exercise tools you can own, pilates balls allow you to work out your whole body with innovative and fun moves. You can find these pieces of equipment under the names “Swiss balls”, “yoga balls” or “fitness balls”. One of their main advantages is the fact that they help improve your balance as when using them you need to use a great part of your body muscles. Those muscles will become significantly stronger with time and will keep you balanced on and off the ball. So yes, by all means, go ahead and reap all the benefits these versatile pieces of equipment have to offer. Just type “pilates balls for sale” online and you will come across a wide variety of choices. Here are a few ideas on how to use your newly purchased Swiss ball. Try switching from sitting in a traditional office chair to sitting on a yoga ball. Sitting for a long time can cause a lot of stress and pain to your body while sitting on an exercise ball will constantly force you to make small adjustments to your posture so you can stay balanced. Doing this for a prolonged period of time will improve your overall seating posture and reduce the risk of back injuries. A Pilates ball can be a great replacement for a weight bench. You can use this simple tool for exercises such as a shoulder press, chest press or some triceps-toning skull crushers. All you need to do is lay down and let the ball support your head and upper back. Once you place the body in such a position, you can start working your arms while stabilizing your unsupported core with your legs, abs, and glutes. Making the switch from a weight bench to an exercise ball will help you transform your upper-body moves into full-body exercises. The Swiss ball will help you build more core strength. Even the simplest exercise made on a yoga ball becomes more demanding and effective. For example, when making a crunch on a Swiss ball you will use your upper abs about 31% more and your external obliques will be for 24% more active than when you are making a regular crunch. This means that in order to maintain stability, balance, and good posture, your core will need to work harder. A good stretch can do wonders for your body, especially after spending a long day at the office or after working out. So this is where an exercise ball will come in helpful. If you’re not much of a gym lover, look for pilates balls for sale and get one for home use. It can be your best ally in supporting your body while it’s in a difficult position. It can help you lengthen your body on the front while reclining your back on the ball helping you perform an awesome body stretch. Benefits of Infrared Sauna: Lose Weight, Beat Stress and More!